My mom informed me, this morning, that I was kind of bossy. Me? Bossy? Okay, when you tell me that I am the person that is going to have to help you with your move I may get just a wee bit bossy. Mom is on the move again and will be moving into a different independent living apartment that doesn't have quite as much closet space. As I am also going to be downsizing into a small apartment, I decided we both need a refresher course in downsizing. 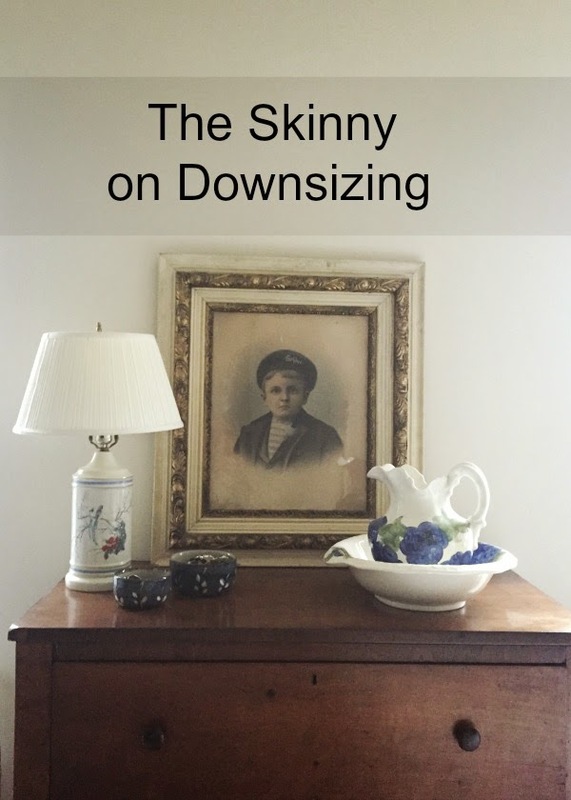 I've been doing a lot of reading on downsizing and decluttering. (It's quite possible that all the time that I spend reading is keeping me from actually having to do it) I have been taking notes and now I may actually be ready to get to work. There are some pretty basic points on downsizing. The first thing you need to do is be prepared to let things go. I think this can be the hardest step for a lot of us. We love our stuff. We collected it for a reason. It has meaning. But, we also know that we can't keep all of it. Walk around your home and write down things you definitely want to get rid of. Make plans to decide what you will throw away, donate, or sell and then organize into three separate containers as you downsize. Work on one space at a time. Choose a closet, drawer, cabinet or corner. This is easier than trying to do an entire room in one sitting. Immediately throw away items bagged for the trash. I recommend taking the donation items right away to somewhere like Goodwill and putting the items you want to sell in the garage or basement if you have one. Out of sight means out of mind and you are less likely to pull them out and put them back in your house. So Mom just called me up all excited. She cleaned out a corner that she has wanted to do for months. "Good job, Mom." 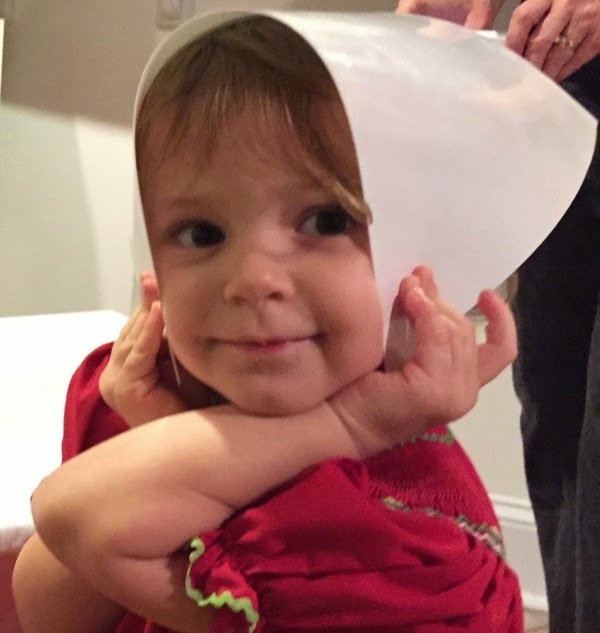 "So what have you done," she asked. "Ummmm, I wrote a blog post about downsizing." "Doesn't count," she said. Moms are just so tough. P.S. More of the Small Space Living series. I am in this process right now.....U-Haul is in the front yard.....Its so hard!! Downsizing is so hard. My Mom is still saying a year later...well I had that 'insert item here' at one time but guess not any more (as she looks at me). OH well. I'm still downsizing and I think it will be a life long pursuit! Your Mom and my Mom should get together, then they can both declare us bossy. It's a lot of work to downsize, and it can be hard to part with treasures. I read something interesting that said a photo of the treasure will stimulate the same sense of happiness and memories as the actual thing. So if you don't have room for it all, fill up that photo album. Of course that album will take up space so you might have to use some cloud storage like dropbox...see more room, and even greater happiness. I don't do collections nor do I feel that attached to my stuff unless it is something I work with hence a practical value or sentimental. It's just easier to live this way. LOL, love that you are researching it all. I think just the whole process is overwhelming, so good luck with it all. till it does so too fit! Ha! Moms are so often right. I'm sure all of the preparation will help you though when you actually DO downsize.